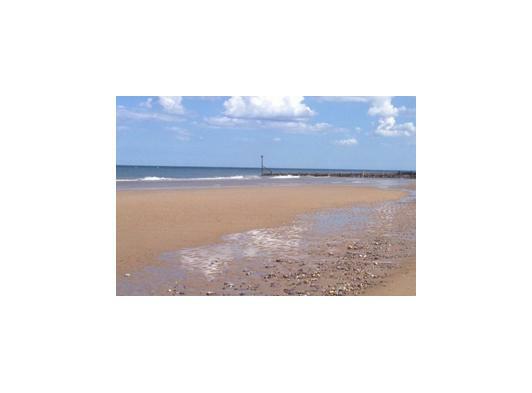 The chalets are an ideal base for anyone wanting peace and tranquility, as well as being in a great location, with regards to accessing the great beaches, and all the attractions that Norfolk has to offer. ‘Atardecer’ is located at the top end of Rainbows End Park. 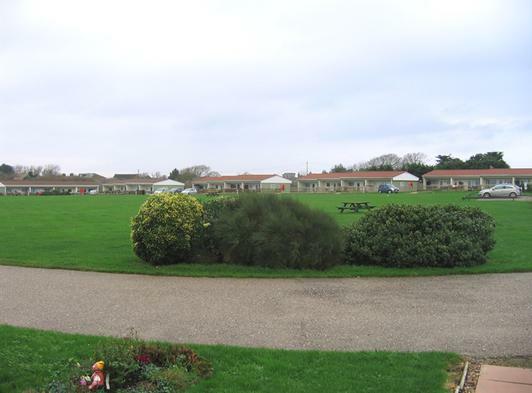 This means it is about as far away from the sea as any holiday home on the park! 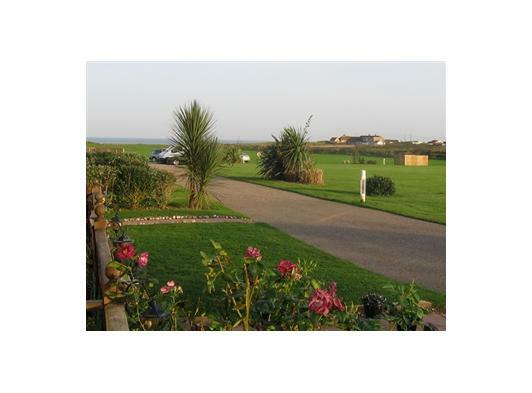 However it is still within 100 yards of the seafront! You can hear the waves crashing at night when you are in tucked up in bed (you may need the window open a little to hear them!). ‘Atardecer’ is my home when I am in the UK. 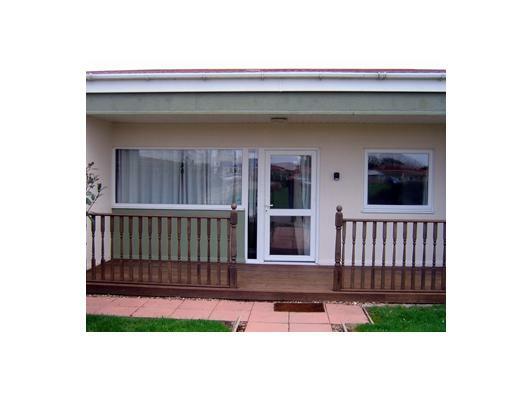 It therefore has more mod-cons than most of the holiday homes on the site. Hopefully, this will appeal to some people. If, like me, you just can’t live without a comfortable bed with a good quality mattress, a big screen TV, and a leather sofa with recliners, then ‘Atardecer’ may be for you! Due to the way ‘Atardecer’ has been furnished, all those extras do take up space, it would ideally suit a couple who are looking for a quiet, relaxing holiday, but with many of the comforts of home! If you are a couple with children, or dogs, you may be better off with ‘Amanecer’ which has slightly more room. 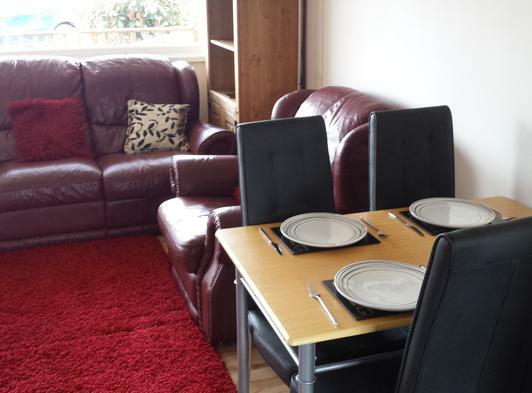 The holiday home has an open plan lounge/dining area with a well equipped kitchen at the end. It has 2 bedrooms and a very modern bathroom. The lounge includes a bookcase with books, a 42 inch Panasonic Viera widescreen TV with a Panasonic DVD recorder. There is a large, red leather settee with two recliners, and a red leather chair with recliner. There is also a dining table which seats 4 people comfortably. 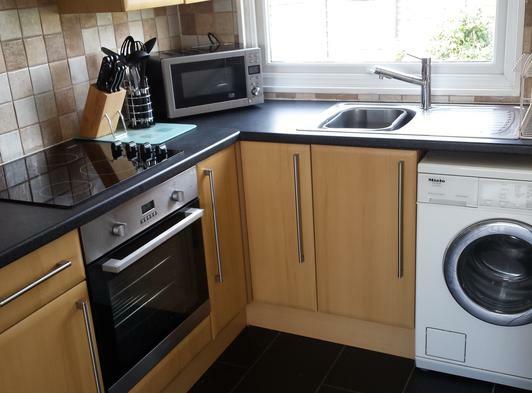 The kitchen is quite high spec featuring 4 ceramic hobs and a fan-assisted oven with extractor hood. there is also a microwave, a kettle, and a toaster. There are numerous pots and pans for cooking as well as a variety of kitchen utensils. Plenty of crockery, cutlery etc. There is also a ‘slo-cooker’ which may prove useful if you intend spending the whole day out but wish to return to a hot meal. There is also a ‘Miele’ washing machine. You will need to buy, or bring your own washing powder and fabric softener. There is a ‘fold-away' clothes horse in the chalet, though, hopefully, the weather will be nice enough for you to let it all dry outside. 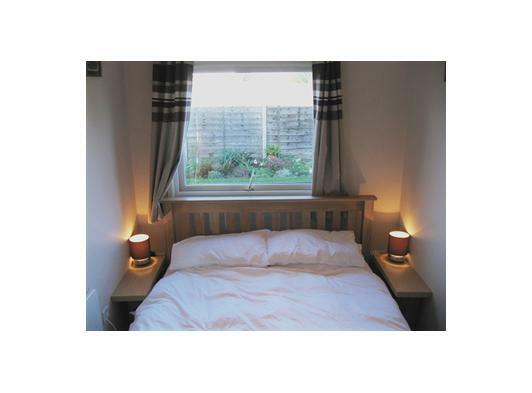 The back bedroom is the ‘adults bedroom’, so to speak, as it contains a Kingsize Oak bed. The bed is new (as of April 2015) as is the Sealy Posturepeadic mattress (if you have back problems its ideal. If you haven’t then this mattress certainly won’t give you any). There is also a small wardrobe, with four drawers and a full length adjustable dressing mirror. There is also a wall-mounted 37 inch Panasonic Viera TV and a Panasonic DVD recorder for those that like to watch TV in bed! The bedding consists of 4 Goose Feather and Down Pillows, and a Goose Feather and Down Quilt. 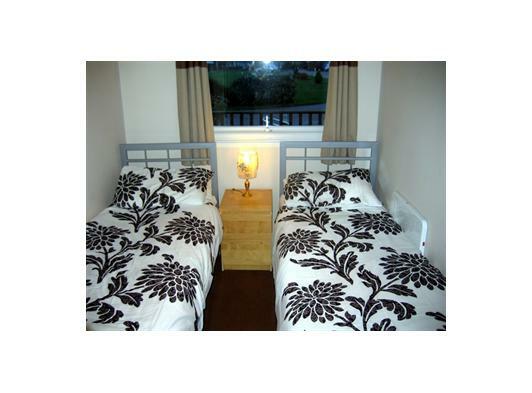 The front bedroom is ideally suited to children. It contains two single beds and a large wardrobe with 3 drawers. The bathroom, unlike many of the holiday homes on Rainbows End Park, has a bath. 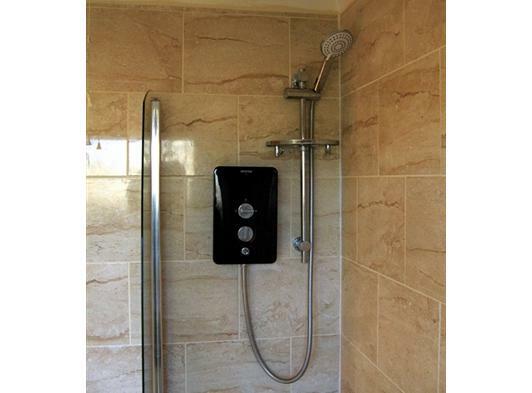 There is also an electric shower within the bath where you can set the water temperature (numerically). I find around 39C is ideal.